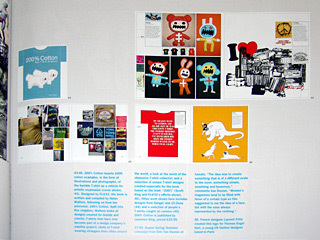 200% Cotton boasts 1,000 colour examples, in the form of illustrations and photographs, of the humble T-shirt as a vehicle for artistic expression (cover shown). Designed by FL@33, the book is written and compiled by Helen Walters, following on from her precursor, 100% Cotton. 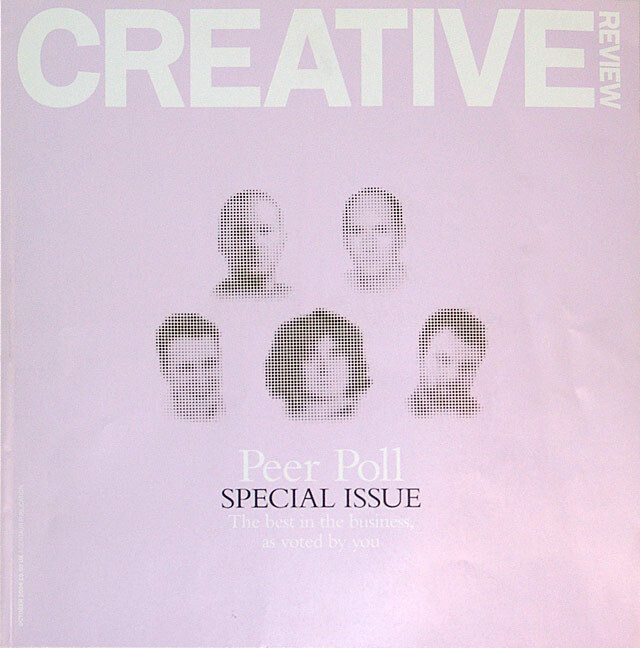 Split into five chapters, Walters looks at designs created for brands and clients; T-shirts that have now become part of a design company's sideline project; shots of T-shirt-wearing strangers from cities around the world; a look at the world of the obsessive T-shirt collector; and a selection of unique T-shirt designs created especially for the book based on the brief, 200% (Scott King and FL@33's efforts shown). 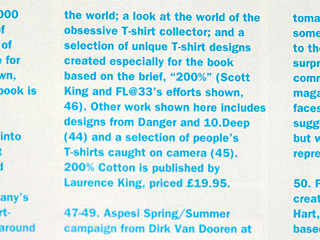 Other work shown here includes designs from Danger and 10.Deep and a selection of people's T-shirts caught on camera. 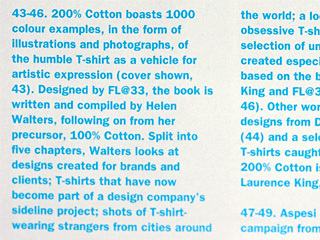 200% Cotton is published by Laurence King, priced £19.95.